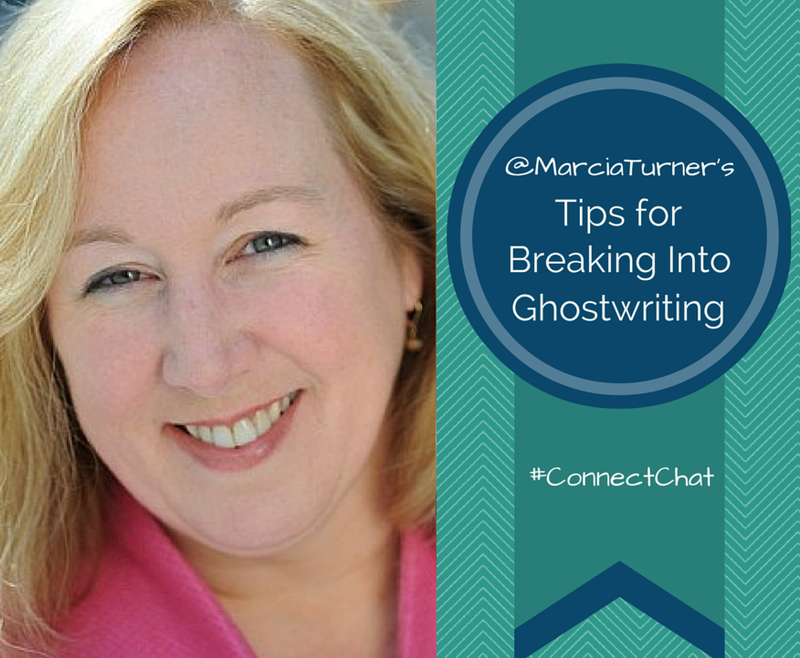 To answer that question, we turned to ghostwriting expert Marcia Layton Turner (@MarciaTurner) for her advice and insight. In a Twitter chat hosted by ProfNet, Turner answered a variety of questions on ghostwriting, focusing specifically on the book market. She shared information on what it takes to become a ghostwriter, how to break in, how much you can expect to be paid, helpful resources, and more. In 2010, Turner founded the Association of Ghostwriters, a professional trade association of ghostwriters who network and share business tips with each other regularly. She is also a bestselling business journalist and author whose work frequently tackles business and corporate strategy issues. To date, she has authored, co-authored, or ghosted more than 30 books for major publishing houses. Her work also has appeared in magazines, ranging from Bloomberg Businessweek to Entrepreneur, Black Enterprise, Woman’s Day, and many trade journals. The demand for ghostwriting is on the rise. To what do you attribute that? Overall, demand for the written word has skyrocketed. Just look at social media. Well-written content is critical today. On the book side, shifts in the publishing industry are opening the door for anyone to be an author. Self-publishing is making book authorship possible for non-writers, with the help of a ghostwriter. More people are also aware of what ghostwriters do, what their role is today. And there is less of a stigma, I think, with having a professional writer help with a manuscript. In some circles, having a ghostwriter is a badge of honor. There is also increasing use of self-publishing platforms. And more businesses are looking at books as marketing tools. It seems more freelancers are trying to break into ghostwriting? Is that right, and if so, why? Yes, as magazines and newspapers shrink, freelancers are looking to new sources of income. Ghostwriting is one where opportunities are growing and the pay can be lucrative. With online pay rates rather low, book ghostwriting looks quite appealing. Are some genres more in demand than others? Business and technology are almost always in high demand for ghostwriters. What is the typical pay for ghostwriting a book? The pay varies, of course, but right now I would say that a nonfiction book pays between $20,000 and $50,000. Some pay less because they’re shorter, require less research, or the client’s budget is small. Some pay more because the length is hefty, more research is required, it’s a big-name client, or the timeline is short. That’s a nice chunk of change, but how long does it take, typically, to ghostwrite a book? That also depends. I’ve written books in 30 days; others have taken nine months. The amount of time it takes may also depend on the client’s schedule and availability. The number of rounds of edits also impacts how quickly you can finish a book. What kind of experience does a writer need to break into ghostwriting? Writers need a few experiences to qualify for ghostwriting work. One is having been paid for their work. Blogging on a personal blog doesn’t cut it. Nor does work for e-zine articles. Another is experience writing the types of pieces the client needs. That may be articles or blog posts or case studies, speeches or books. You need to have done it. Someone new to freelance writing is not in a strong position to succeed as a ghostwriter. That doesn’t mean that it can’t be done, only that it may be more challenging. You may be a top-notch writer, but without experience, you’ll have difficulty selling your services to clients. How can a writer get that kind of experience? Does writing books under your own byline count? To get into ghostwriting books, writing your own books does give you credibility. It shows you can write to that length. Clients want to know that you’ve done this before, since most of them have not. They don’t want to hire someone who has never written a book to write their book. But, more importantly, ghostwriters need experience in writing in someone else’s voice — that’s key. Everyone has their own style and pace of communicating, their own preferred vocabulary. Ghostwriting requires that you learn what that style and pace is, and mirror it in the writing you do for them. So, completing assignments where you write as someone else is very valuable. What kinds of skills are important to succeed as a book ghostwriter? Besides being able to adopt or mirror someone else’s voice, you need to be a strong interviewer. Asking questions that get to the heart of an issue, or that provide more detail in a manuscript, is crucial. You also need to be a project manager. Besides writing, you have to arrange the information you gather so that it makes sense. Research is another skill that can be important. Sometimes you’ll need to find supporting information to back up a client’s story. Finally, ghostwriters today are part writers, part publishing consultants. Clients want advice on what to do with their books once written. What are some tips for a writer looking to break into book ghostwriting? The key to breaking in to book ghostwriting is landing that first project. It’s a big barrier to entry. So, do anything to find a client and write their book, even if it means dropping your fee. Approach clients you’d like to work with to propose collaborating on a book or ghostwriting it. Just get that first book ghostwriting project under your belt! Where do you find potential clients? Ghostwriting clients are everywhere but they may not realize that you can help them. They may not know what you do. So, make sure people know that you’re a ghostwriter by using that term in your bio. Add the keyword “ghostwriter” to your social media accounts, your blog, your website — everywhere you are. Make sure your name comes up when someone searches for a ghostwriter in your city or area of experience. Also, watch for job postings that come through ASJA (@ASJAhq) and Association of Ghostwriters (#aoghostwriters) if you’re a member. Scan jobs at Elance and Guru. They may not pay well, but they can help you get experience. Make sure you’re listed on Contently, Ebyline, and Skyword for shorter-form corporate ghostwriting work. Introduce yourself to editors and agents who may need a ghost to partner with a client. PR firms may also be a channel to potential clients. What’s involved in ghostwriting that people might not realize? I think people may not realize that a good book ghostwriter will help shape the content, not just write it. Yes, you’re hired to help draft a book, but you should also be pushing the client to clarify their message and content. You’re doing more than taking transcribed notes and editing them to make a book. Good ghostwriters ask dumb questions, play devil’s advocate, and probe to make sure the reader is getting all they need on a topic. You have to feel comfortable pushing back even when the client may feel that what they’ve given you is pure gold. What’s the hardest part of ghostwriting books, and what’s the most rewarding? The hardest part varies by client. Sometimes, getting the information you need is difficult. Other times, having to tell a client that their idea isn’t new or that their concept isn’t a book is the hardest. Writing the book is not the hard part. The most rewarding part is when a client tells you that you’ve helped make their book better. Or when one of your books wins an award or sells a million copies. That’s rewarding, too. If someone is reading this and wants more info, what are some organizations and resources for ghostwriters? There are a number of great writing organizations and a few that serve ghostwriters. ASJA is terrific for freelance writers and authors. Some ghostwriters are members. I have to mention the Association of Ghostwriters, which I run, and which is 100% ghostwriters. Those are the primary ones, but there are also plenty of groups for memoirists, fiction writers, medical writers, etc. Before we go, tell us what you are working on next. Right now I’m working on a few book projects. I’m finishing up a second business book for a client and just completed a proposal for a second book for another client. And I’m in the middle of another business book for a tech client. All are in various stages of completion, which is why I’m able to juggle more than one. I like to be busy. Are you a freelancer looking to connect with an expert source? ProfNet has thousands of sources available to help. Submit a query, search the more than 60,000 profiles on ProfNet Connect, or get timely story ideas and experts by email – all for free! Email profnet@profnet.com if you’d like help getting started. Maria Perez is Director of Online Community Relations and connects journalists with subject matter experts on ProfNet. To read more from Maria, check out her ProfNet Connect blog. So you want to be a ghostwriter. Here’s what you need to know. You’ve always wanted to try ghostwriting. Here are 7 tips to get started. What about the legalities of writing autobiographies? Can a ghost writer get into trouble in non-fiction for writing/rewriting material based on the author’s personal accounts? What about defamation? Who’s responsibility is that? Thanks. I definitely didn’t realize that ghostwriters had so much input on the content of the book they are helping with. But it does make sense that a good ghostwriter would help shape the content while helping the author clarify the message they are trying to send. My sister is working on her first book and has been contemplating whether or not get a ghostwriter.